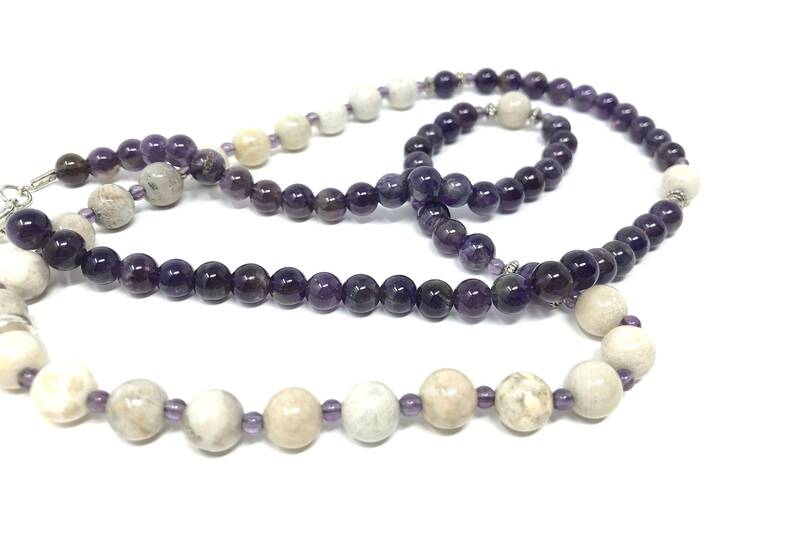 Beads of Amethyst and agatizado fossil coral, with silver beads and amethyst pendant. Total length of tasseled necklace: 40.5 cm. Fossil coral is a natural stone formed when an ancient coral is gradually replaced with agate. Coral was long regarded as a powerful talisman that gives great magic protection. 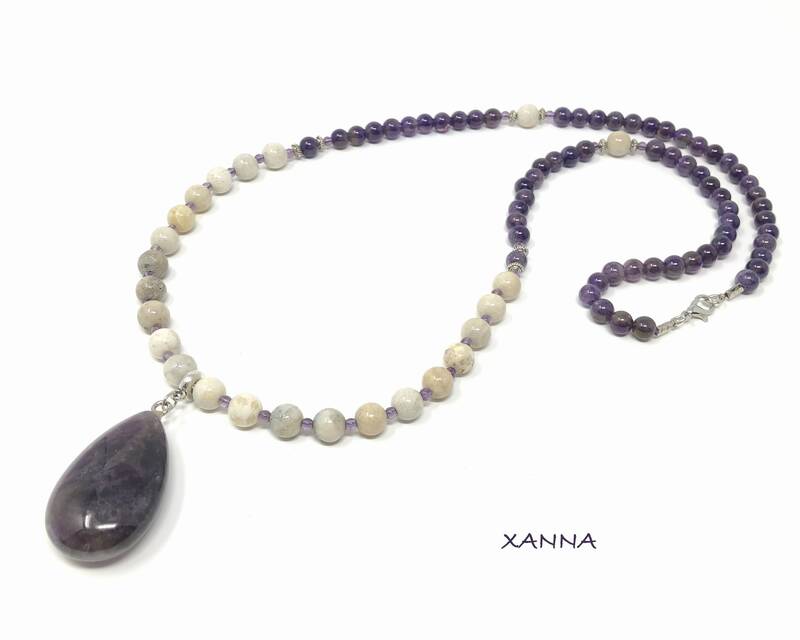 Agate provide physical, emotional and intellectual balance. 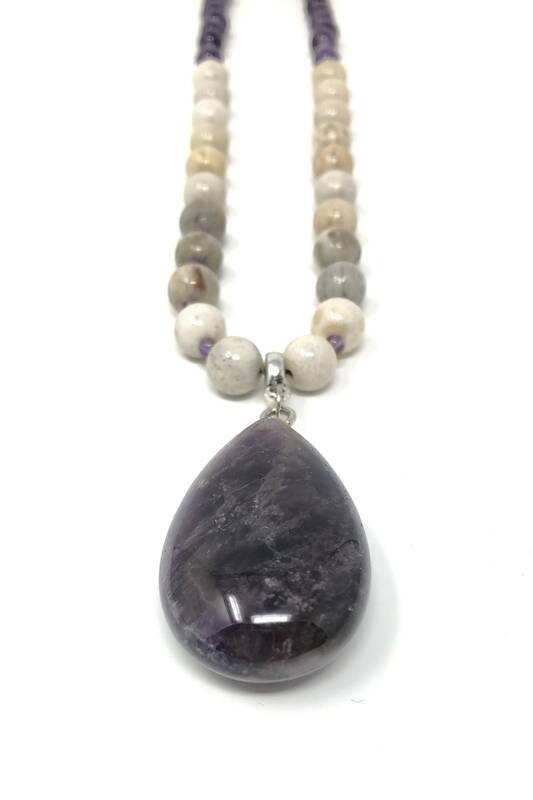 If a person assigns to a fossil coral properties like amulet or talisman, there is no doubt that he will be able to use it as such, since it has the strength to have belonged to a living being, and to have characteristics pertaining to the animal kingdom and the mineral kingdom. 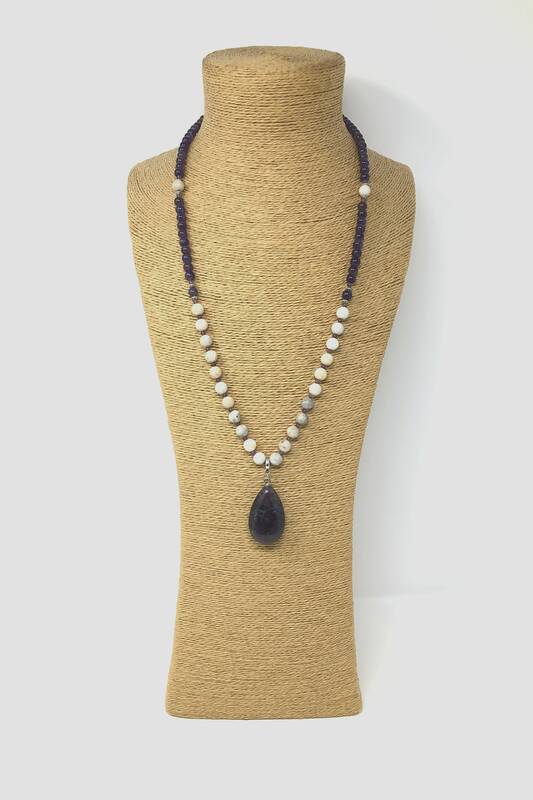 The fossil coral Agate provides physical, emotional and intellectual balance. Emotionally, agate transmits protection and safety. Mentally empowers logical and rational thinking, stimulates concentration. The coral away from the envy and selfishness of others, coming from the sea has positive vibes, it is said to be a stone that attracts love, attracts good luck in the home and its inhabitants.